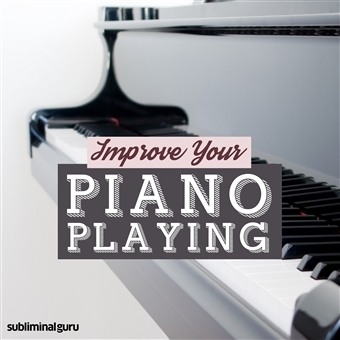 Would you like to improve your piano playing proficiency? 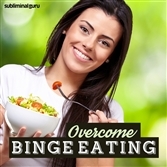 Want a fast and effective way to accomplish it from within? Great pianists know their instrument back to front. 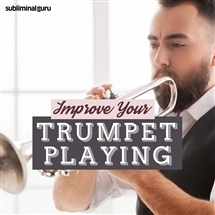 They can produce the gentlest of melodies, thunderous chords, and everything in between, exploiting the subtleties and dynamic range of the keyboard with power and control. With the Improve Your Piano Playing subliminal session, you'll unleash your natural musical ability! 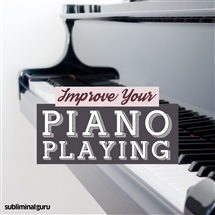 Download the Improve Your Piano Playing subliminal audio now to become a skilled and polished piano player as quickly as possible. I love the sound of the piano. My fingers move around the keys with ease. Playing the piano is achievable for me. My hands glide over the keys effortlessly. I express myself well on the piano. I enjoy learning scales and exercises. Every day my piano playing improves. I love playing the piano in public. People admire my piano playing. I know I'll be a great piano player.